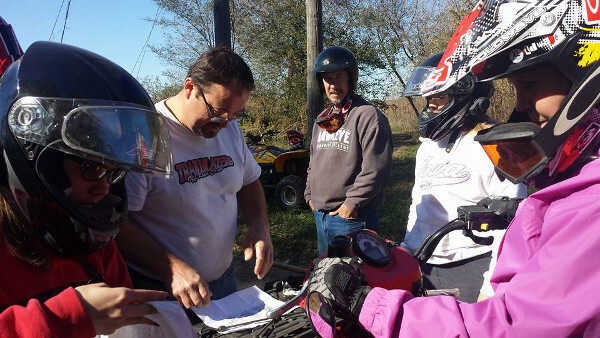 Trailblazers Off Road Club was formed in April 1996 with the intent of helping the city of Waterloo establish a new ATV Park. In the years since, we have put hundreds of hours into cleanup, construction, and maintenance at Riverview Park. In addition, the club organizes activities like moonlight rides at Riverview and weekend trips to ride in Wisconsin. The Trailblazers Club owes a lot of its sucess to the support of our sponsors through discounts and other assistance. Find out more about our sponsors by visiting their links. Their services range from ATV and motorcycle dealers to fine restaurants and insurance for your ride. Club membership offers the opportunity to enjoy our sport with many people that do the same thing. Membership in our club gives you the opportunity to go on club rides, be in parades, and make a positive impact on a rapidly growing sport. The club offers a monthly email newsletter to keep members informed of our activities and those of other clubs and organizations across Iowa. Meetings are held monthly, usually on Saturdays with location posted on the website and our Facebook page. Also in our monthly newsletter. The club also has a few T-shirts and club decals available! Contact us.